Looking to spice up your World Language Department? 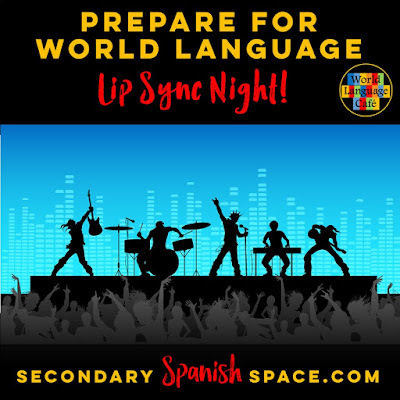 Organize a World Language Lip Sync Night! whatever other World Languages your school offers. Each junior and senior class (or just seniors if you have a huge school), picks a song, combines movement and props to go with it, and presents it on stage. Freshmen and sophomores are encouraged to attend with free homework passes. Most of them secretly want to attend anyway, but a free homework pass never hurts. The older students have a blast performing songs in the target language and the younger students love watching the older students having such a good time on stage. Only juniors and seniors are allowed to participate. 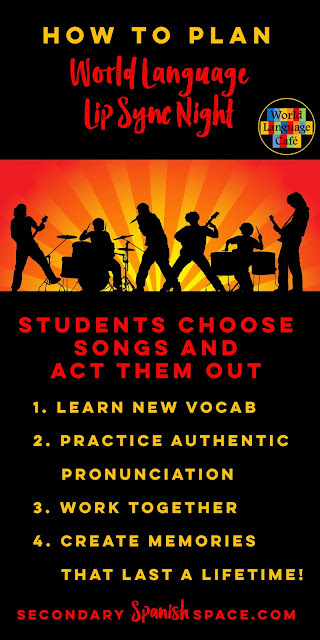 If students are dropping out of language after 2 or 3 years, this is a great incentive for them to stick with language through levels 4 or 5 because they all want to be in the show. in the target language and act it out while lip syncing the lyrics. All students should participate. Have each class perform as one big group or if you have a large class, you may wish to let the students divide themselves into 2-3 groups. They can dance, act, or pretend they're in a music video. Colorful props and accessories are a must! At my previous school, students went all out and created matching shirts, skirts, etc., but if you're at a school with more limited resources, students can basically use what they have by wearing a similar color, making good use of hats, or creating paper mâché or cardboard props and signs. Nothing fancy is required - just some effort to represent the song. Some of the best simple props I've seen are tissue paper flowers worn in their hair, and homemade signs with key words. listen to it first to make sure it's appropriate. 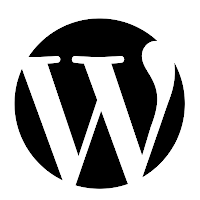 You may want to offer choices from selections that you have or they can search online for their own. Need ideas for songs? Spanish Mama has an awesome list of 40 Spanish pop songs that she uses with her classes. Give them some time to practice in class, but mostly they will be practicing on their own outside of class. Each student must have at least 1-2 lines or be the announcer before the performance. sings the song with a short biography and explains the meaning of the song. Each teacher fills in the dates on the student instructions and makes copies for each group. It may also be helpful to show students the grading rubric beforehand. in the target language (extra credit project or a class project). Admittance to the show can be free or ask for donations and donate the money to charity (think Kiva - microlending, or another language related charity), or towards getting supplies for the department (think books for a World Language Reading Library). Encourage all language students to attend. Teachers can hand out a free homework pass at the door or slips for a few extra points on the next quiz to lower level students who attend. lower level language classes to be judges. * Judges fill out evaluation forms without giving any feedback to the audience. * Judges have numbers 1-10 that they hold up. * Judges provide funny commentary after each act American Idol style. If you do this, be sure to keep it all as positive as possible since parents will be watching. Be aware that if you choose to allow the judges to provide feedback, this will add a lot of additional time to the show. If you have more than 10-12 acts, you may want to consider having silent judging. Have the crowd vote. Pass out small, colored sheets of paper and have the crowd vote. Collect the ballots at the end and count them up to determine who wins. As a surprise and to keep the audience entertained while you count, you may wish to recruit a group of teachers to perform a lip sync. The kids think this is hysterical - I still remember when my teachers got on stage and danced to the rap song, "Bust a Move", in high school. Award a prize to the best group or 1st, 2nd and 3rd prizes. Most local stores are willing to donate a small prize to an event like this. Prize ideas include: $5 iTunes gift cards, Amazon gift cards, gift cards to the local ice cream or pizza shop, or really cheesy prizes (could be whatever you can find at the Dollar Store) that you make sound awesome. If you're awarding really cheesy prizes, talk them up beforehand and at some point during the show. I have seen a crowd go wild over a blue toilet seat cover with a yacht on it and a super-cheesy looking plastic mirror. You might pick something cheesy that's language related - who knows what your fellow language teachers may have in their closets. It's all about how you present it. ex. Tonight we have some absolutely AMAZING prizes! Straight from the runways of Fashion Week in Paris, we have this custom-made, authentic sombrero. Folks, this is not something that you can buy at any tourist location in Mexico. This is a genuine original. Look at the gorgeous embroidery and gems on this beauty, etc., etc. The kids think it's funny and actually will display proudly even the cheesiest of objects. Here's the list of things you'll need to coordinate. Be sure to delegate within your department so that you're not doing all the work. 1. Pick a date when the auditorium is free (a school night with few other activities on the schedule) and check with all the necessary school people to book the space and any janitors that you may need. 2. 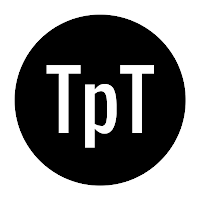 Book the people who do the sound and lights for the school play to help you. 3. Book time the week before the show for a dress rehearsal with sound and lights crew. Good to have at least a week in between so that the students realize how much they still need to practice and get their act together. 4. Recruit 3-4 guest judges. 5. Recruit 2 Stage Managers (other teachers) to coordinate the students behind the scenes. 6. Recruit a teacher to sit by the front door and pass out entrance sheets. This person should make sure that the student writes his/her name in pen on the sheet and that students only take one slip per person. 7. Recruit a person or student to create a program with the names of the acts and the students' names. Include any special thanks to people who helped with the show. But I'm a Department of Only 1 Person! Okay, this sounds great, Sherry, but I'm the only person in my department. How can I pull all this off by myself? Unless you're Wonder Woman or Superman, this might be a little tricky. 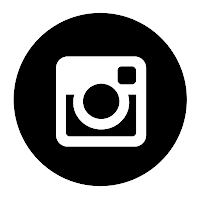 Instead of performing onstage, have students make videos of their performances. * Have a viewing party one day after school. * Show the videos during your classes. * Put the videos up during lunch hours for all to see. Create a ballot so students can vote for their favorite performances. 1. Remind students of dates and times for dress rehearsal and performance. 2. Students in lower level classes can make posters announcing the show in the target language (could be an extra credit project). 3. Print entrance slips for free homework or extra points on a quiz. Stamp them beforehand with a special stamp for authenticity if you'd like. 4. Double-check with all the people who are helping to make sure they're still available. Double-check that you still have the space available. 5. 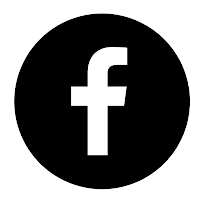 Tell the local newspaper about the event that you have planned. They can even announce it beforehand in the paper and will perhaps write a little feature about the show. 1. Bring entrance slips and leave them with the teacher by the front of the auditorium. Set up a small table for this person. 2. Bring in a box if collecting money. Get change beforehand if you will be collecting a specific entry fee. 3. Reserve seats for the judges in the front row by taping off chairs. 4. Students arrive 30 minutes before showtime and wait backstage. 5. Test the mics, lights, and sound equipment. 6. Back Stage: Have a teacher who is coordinating the groups and making sure they're ready to go. Still not sure exactly what this would look and feel like? to get a better idea of how it runs. This will be a night that your students will always remember fondly. If you keep doing this, in a few years, you'll notice that the excitement and buzz grows. 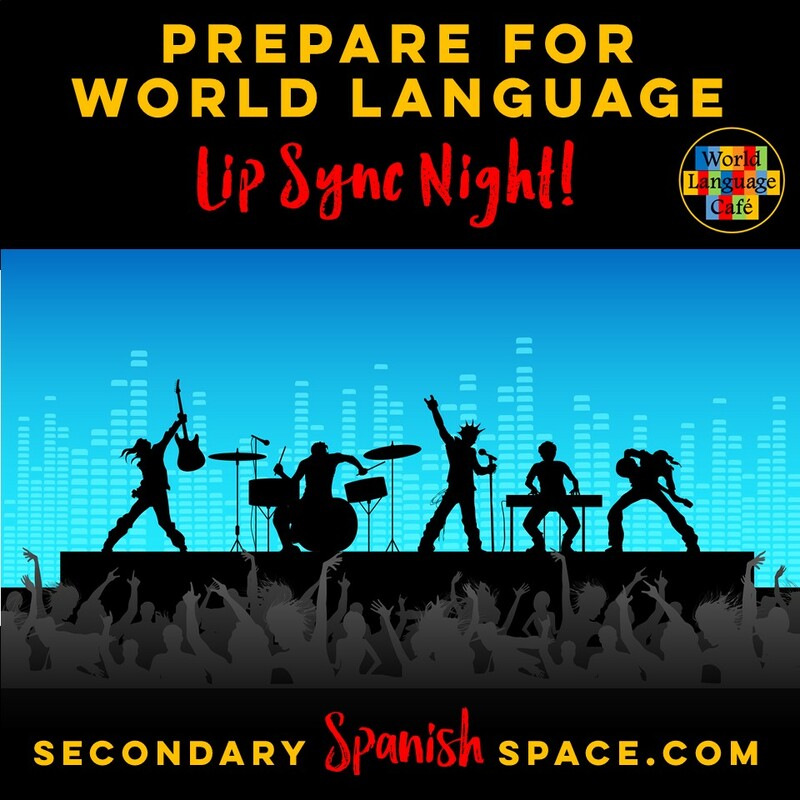 World Language Lip Sync Night will be a big hit at your school. 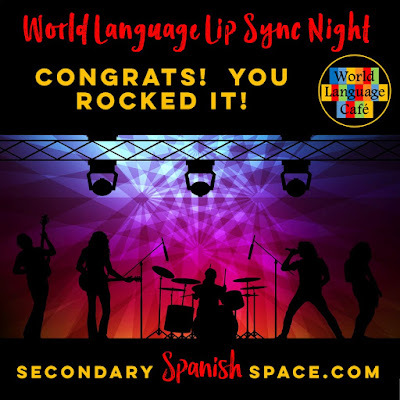 Check out more ideas to spice up your World Language classroom on my blog.